The concept for this Urban Mobility Backpack might be overused, but hey, it’s PUMA! More so, British/Turkish fashion designer and two-time British Designer of the Year Hussein Chalayan steps in to design this fashion-meets-function piece. 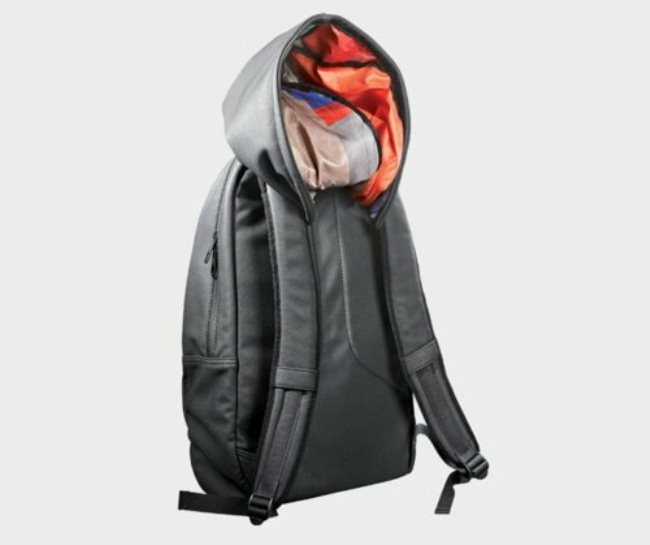 Making it to PUMA’s 2012 Spring/Summer collection (Black Label), the backpack screams activity with its built-in colorfully lined hoodie. To add, the insides feature two main zipped compartments with a number of pockets plus padded laptop sleeve and mobile phone pocket. Overall design is minimalist with its dark charcoal exteriors and black zippers. This urban mobility backpack caters to both the active type and the chic type, a resounding theme of PUMA’s Black Label line.